Java Array, Array is nothing but collection of similar data types and it can be also known as static data structure why because the size of an array will be given at the time of its declaration. Array starts from zero. Following is the syntax to declare an array. Code Optimization: By using array one can reduce the length of the code then memory will be saved, one can perform input and output operations easily. Random Access: Retrieving the data from any index position is easy. Limit Size: The big advantage of an array is that the size of an array is not increased at run time, this drawback will be overcome by collection framework. Java Array consist of two types as follows. Following is the syntax to declare single dimensional array. Following is an example which describes more about the single dimensional array. Now compile the code, result will be as follows. Following is the syntax to declare multi dimensional array. Following is an example which describes more about the multi dimensional array. When compile the code, resutl will be as follows. Primitive array is an array of primitive types. Primitive array is defined by using datatypes. The following is an example for the primitive array. Java Array of derived classes is known as derived array. This array is created by java types. The following is an example for the Derived array. In derived array, an instance of the class can be stored.Suppose, if a derived array of type Apple is created, different types of Apple can be stored in that Java Array. An array of Object type is used to store any type of java instance. In this array, all the elements are casted to object type while storing the elements. To get the element, downcasting has to be done. An array of object type is fundamental for collections. 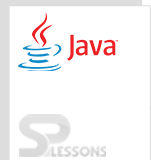 The following is an example for addition of 2 matrices in java. The disadvantage of arrays can be overcome by using collection API’s or framework. The limitation of array is, it is of homogeneous type and every element is referred through index only and elements are not stored in the structured format and array size is restricted.